We wish to express our deepest gratitude to all of you for supporting and recognising “Vegetalk” seasoning powder ever since our brand was established many years ago. With regards to the declaration made by “POLOKU” on their company website www.poloku.com commenting that there are some dishonest companies such as Vegetalk who are selling non authentic, fake seasoning powder. Vegetalk would like to stress that all our products are 100% authentic and do not bear any “POLOKU” logo or the company name POLOKU Trading Company. 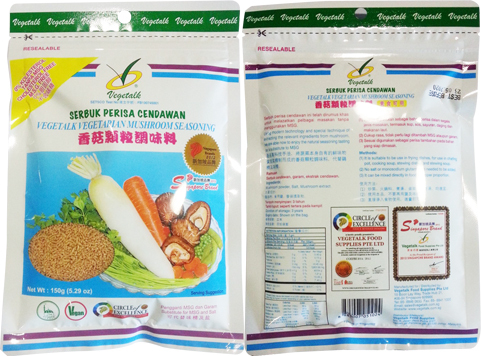 Our packaging only carries our own Vegetalk labelling and our products do not use any raw materials or ingredients from Taiwan Hsin Sui Industry Co. Ltd.
Vegetalk Food Supplies Pte Ltd is an independent company and has no partnership relation with POLOKU Trading Company or Taiwan Hsin Sui Industry Co. Ltd.
Vegetalk products are certified and have been awarded the prestigious Singapore Brand in 2012. Our seasoning contains no MSG, no additives and preservatives, therefore poses no harm to consumers’ well-being. We strongly urge customers to recognise our logo and Singapore Brand as the only authentic product in the market. We appreciate all the supports showered on us. 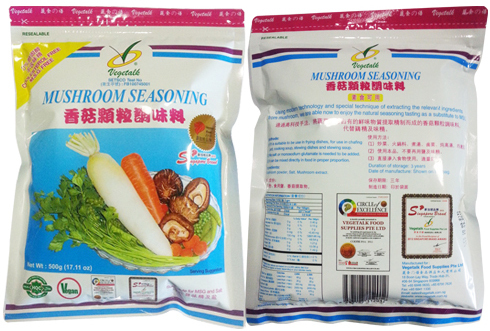 We will continue to serve our valued customers with Vegetalk authentic healthy vegetarian products, especially our best-selling Vegetalk Mushroom Seasoning.